As a tattoo artist, you have a duty to your customers to use the best tattoo equipment available, and that also applies to tattoo needles. 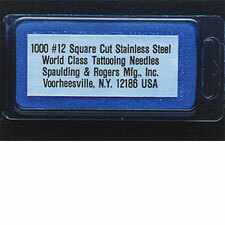 We have put a great amount of effort into finding out exactly what it takes to produce superior tattoo needles. We employ rigorous quality control standards, and we believe the quality of our finished product speaks for itself. Our World Class™ tattoo needles are a cut above virtually every other brand on the market, made in the U.S.A. and sold worldwide. Our tattoo needles are available polished or unpolished in packages of 50 to 5,000, and you can feel confident knowing each and every one is crafted from strong stainless steel. 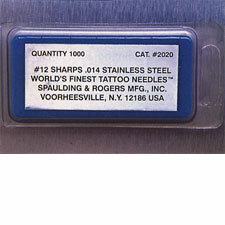 We also carry needle bars, jigs, and imported needles for your convenience.